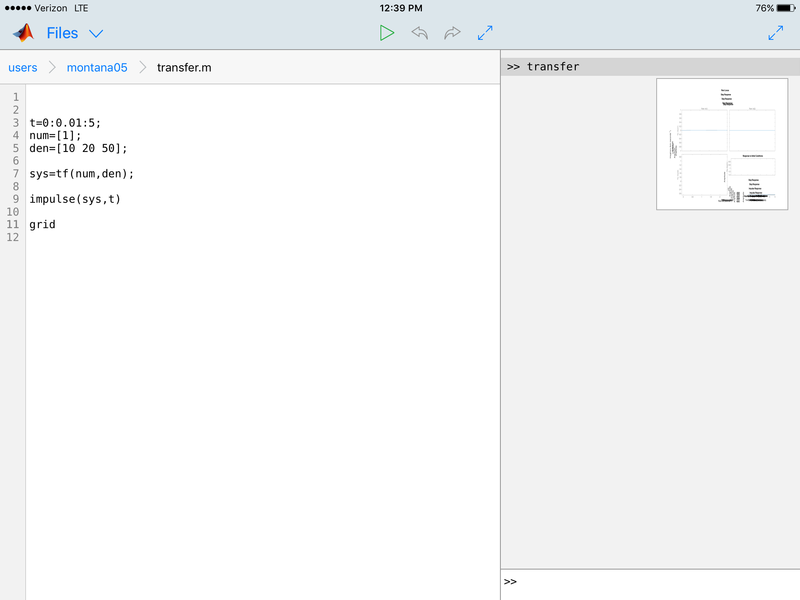 MATLAB Mobile will not plot anything correctly. 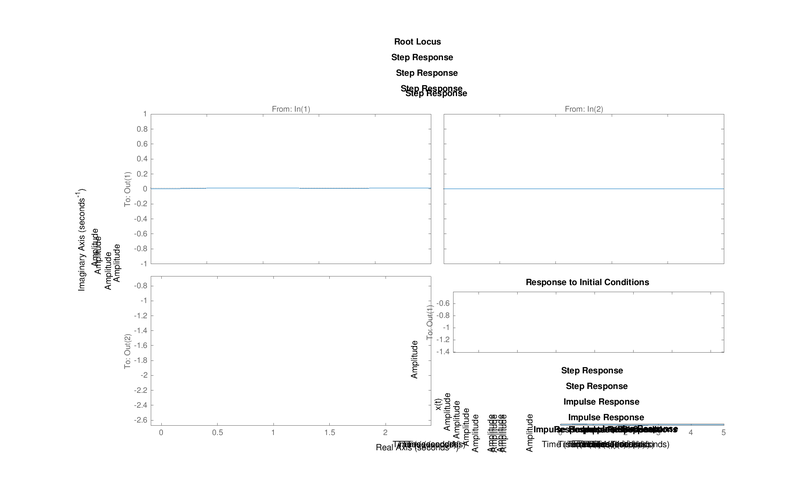 Whether I'm plotting a step response or lsim, the figure comes up as 5 different plots and none of them are right. Also, the word root locus and step response are printed all over the figure randomly. Attached is an example of a code I ran and the figure produced.